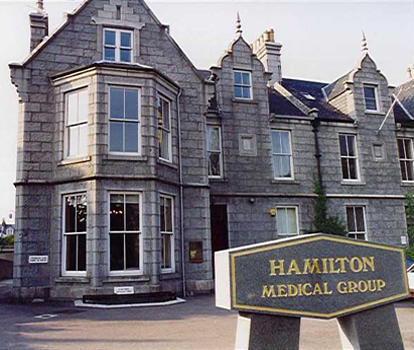 The Doctors, Nurses and Practice staff of the Hamilton Medical Group welcome you to the surgery as a patient. We provide care to our current patient population of around 7000 patients. The Practice is located just a 10 minute walk from Union Street at the very centre of Aberdeen. We are well served by a variety of bus routes (11, 13 and X17) and have parking facilities behind the surgery, which can be accessed via Queens Road or Queens Lane North.